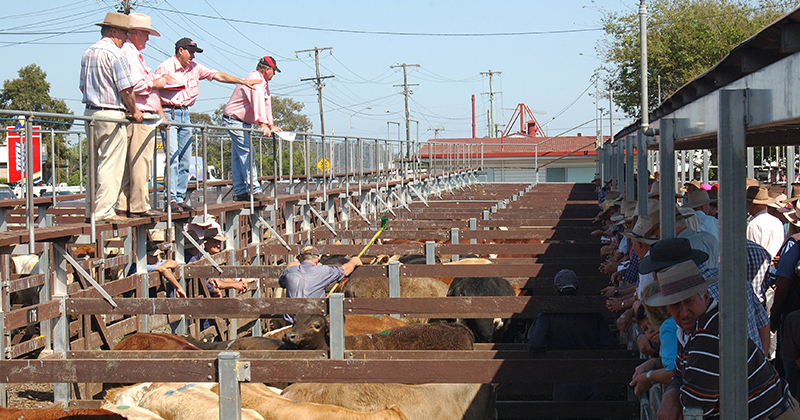 We’ve hit autumn and cattle producers who were holding out have hit the button. 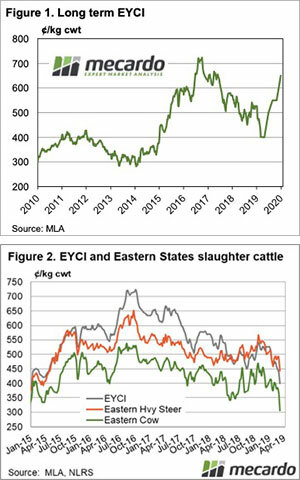 Cattle supply has ramped up, as a dry summer and the spectre of a dry autumn sees the Eastern Young Cattle Indicator (EYCI) heading back toward 400¢. It has been a week of unwanted firsts, at least in the frame of the last three years. For the first time since late 2014, you could buy restocker steers in NSW for just a smidgen above 200¢. This used to be a good price, but that was back in the noughties. It’s the first time in 3 years that Cow prices have been below 150¢/kg lwt. If we compared to restocker steers, it’s still not a bad price. But compared to the beef they become, the 90CL frozen cow indicator, which sits at 644¢/kg cwt, cows are very cheap. Earlier in the week, we noted the strong slaughter rates currently afflicting cattle markets. It seems it might have been even stronger this week. Heavy slaughter cattle prices started easing in line with young cattle and cows. Heavy steers lost 50¢ on average this week, the National Indicator broke through key support to hit 443¢/kg cwt this week (Figure 2). The heavy discounts in cattle prices compared to beef left us wondering how a cattle futures curve would look at the moment. Something like Figure 1. Perhaps not so strong at the back end, as concerns about continued dry might see buyers unwilling to pay over 600¢. A return to somewhere near normal rainfall and continued strong export prices, should see prices head back toward 650¢. With no rain on the forecast it will be up to growers being unhappy with prices, and deciding to hold on to cattle to see prices steady. Given the falls over the last fortnight, this might not be too much of a stretch, as not a lot has changed to see prices fall so heavily.